The gentle west wind hums/ As it blows in from the lake/ Over the fields and swaying palms/ The soul songs of the waves. Memories, people, places, stories, articles, ideas, issues, views, health, sports, photos. Copyright: Author. He was the last of the Karanavars (Patriarchs) and yet he was a man ahead of his times. In the apparent contradiction lies the man. P.K. Abraham Tharakan (aka Pappachan), was a free-thinking spirit, who carried the class, the charisma and the culture of his forefathers lightly on his shoulders. The class was reflected in his innate philosophy of life, in his sensitivity, respect and concern for others, an appreciation for fellow human beings and a readiness to lend a helping hand, regardless of his own difficulties. It is the kind of class that is rarely seen today. He often quoted Appan, his father, who had told him before he died, that change and adaptation was crucial to progress. And so, he changed with the times. - in his later years discovered and mastered the new ways of the internet universe and the online world of blogging. However, what really separated him from the multitude was his strength, courage and compassion. Some souls are sent on earth to help others, and we believe that was what he was sent here to do. (Acts of kindness) His race is run, he fought the good fight… the fight that faces all of us frail human beings. And now is his time to rest. May his soul rest in peace. God bless him. What is common between an old priest our village church had and the World Cup footballers? You wouldn’t know, of course. Well, the answer is ‘shoes’. Years ago, I found the priest saying mass wearing a brown shoe on one foot and black on the other. Back home from church I made a joke of it. My mother was angry with me and explained that the old man probably couldn’t see properly and had made a mistake. Watching the World Cup Football on TV recently, I found several players wearing different colored shoes on each foot – say, green on one and yellow on the other. It was surprising, till my grandson who was with me explained that it is a new style which is catching on. Can we give the credit for this trend to the old priest? Back to football. The game was introduced in India by British soldiers. The country’s first significant achievement was in 1911 when Mohun Bagan beat East Yorkshire Regiment 2-1 to win the IFA Shield in Calcutta. That was a great event. The barefooted Indian players plodded on. In 1950 India qualified for the World Cup thanks to a series of walkovers from the opponents. But no team was sent to participate in the tournament. Lack of funds was the reason given. In the 1956 Melbourne Olympics India reached the semi finals and was placed fourth. Since then it has been a downward slide. Today the country’s world ranking is near the foot of the list. India was placed fifth in the Games with a tally of 64 medals. Not too bad, though we lagged behind in track and field events. I was shocked at Tintu Luka’s performance. She seemed to run 800m (which she had earlier done under 2 minutes) like a 400m race. It appeared to be the classic mistake of becoming a pace setter – shooting off the blocks, staying ahead for some time and then falling back to finish 7th among 8 contestants. She should have remained with the pack and spurted for the last 200m or so. An interesting aspect of the Games is that Indian contestants were in 45 finals, but could bag only 15 gold medals. Why this low percentage? Lack of determination at the last mile to victory? Absence of the will to win? In my opinion, every one of these last stretch losses should be analyzed on technical, physical and mental aspects. The end of the Commonwealth Games 2014 was a curtain of shame for India. The Glasgow Police picked up two Indian officials – one for misbehaving with a lady and the other for drunken driving. It was claimed that they were not part of the official Indian contingent. The police finally let them off stating that there was no proof. But with the world media picking up the story the damage was already done. Worse was to follow. The cleaning staff found drug syringes where the Indian contingent was staying. Not once, but thrice. Each time the Indians were warned and tendered apologies. Reminiscent in a way of the sad case of Anju Bobby George. At the 2005 World Athletics Championships at Monte Carlo, Anju was placed second to Tatyana Kotova of Russia in the women’s long jump. Re-test of the Russian’s blood sample taken that year resulted in her disqualification. Last week the International Association of Athletics Federation (IAAF) declared Anju the gold medalist. No podium finish, after nine years. But Anju, we are proud of you. Boxing, despite the rise of home-grown talent has also suffered from the current state of disarray. Mary Kom, the icon of Indian women’s boxing and five times World Champion was not informed by the authorities about the selection trials for the upcoming Asian Games. Salvation for Indian sports seems possible only if incompetent officials and family control of sports bodies are removed from the scene. Short story: Captain of the St. John's team. Ponnaiah could hear the crowd inside the stadium from where he stood in a corner of the dressing room watching his team lace up. It was obvious from the clamour that the stands were full. The Maharajah’s Gold Cup Hockey Finals always attracted a large turnout but that year was something special. St. John’s College had reached the finals of the tournament for the first time. The college team was always the sentimental favourites in Sengalore, a cantonment town in South of India. Several generations of fans had followed the fortunes of the team with such intense feeling. Today, in the finals, the St. John’s team was pitted against the reigning champions, the Army XI. Ponnaiah looked at his watch; there were twenty minutes for the game to start. He would have to announce the playing eleven almost immediately. Normally that would have been a routine exercise. But on this occasion it was different. He watched the face of each player. They looked young and vulnerable. But the Captain knew that he had a very good team, probably the best ever to don the famous blue and gold colours. St. John’s could be champions that day. Their rivals had won three all-India tournaments earlier in the season. That did not overawe Ponnaiah. He and the coach, Donald, had assessed the opponents shrewdly. They could be beaten on that bare, hard ground. In the semi finals against the Madras Sporting Club, St. John’s had purposely slowed down the play with elaborate moves to upset the rhythm of the rivals. The Army XI was too good for such tactics. They had to be beaten in a fast, fluctuating game. Ponnaiah was confident that his team had the edge if all the players were in form. The intelligent, talented and physically fit boys had been trained to near perfection. The rules of the game had been drilled into them to the extent that each player could possibly qualify as an umpire. The tactics and strategies for different situations were taught over and over again. Their defence was solid and could not be hustled. The half-line was capable of blunting enemy offence and initiating and supporting counter attacks. The inside forwards had been taught to fall back with the game and to take up moves. The well-knit forward line had speed, penetration, opportunism and marksmanship. This was a dream team. But morale was the major factor at the moment. The Captain knew that the uncertainty about the final eleven had a dampening effect on the players. For the first time that season, there were conflicting views on the team to be fielded. A number of people, all with good intentions, had advised Ponnaiah about the selection. He had listened to them patiently but that had not helped. A captain walked a lonely path; he had to make his own choice. If the match were won, they would praise his judgment. If St. John’s lost that day, they would be talking about his big mistake for a long time. Will Swamy be retained in the team? This, the captain new, was the question on everybody’s mind. For days the boys had been talking about it in whispers. Then there was Fr. Antonio whom they affectionately called Anty. The priest practically lived with the team and died a little at each game. He was obviously troubled by the question mark on Swamy. During the last few days the creases on the forehead of Donald had grown deeper. This balding man was a bundle of hockey wisdom, but never interfered unnecessarily. At St. John’s, finalizing the team was always the captain’s prerogative. That morning The Sengalore Sentinel had carried a pre-match assessment, which discussed Swamy’s place in the team. Ponnaiah knew that the people out there on the stands would be debating the matter at that moment. He was aware too that there was discreet betting going on in the crowd and that his decision would affect the odds. Swamy’s case was intriguing. Ponnaiah had not seen anything like it before. The boy was a superb centre forward who could some day play for India. He had started the season well. St. John’s routine was two practice matches a week, in a carefully planned program beginning with mediocre opposition and gradually involving increasingly tougher rivals to peak out for the tournament circuit. In the second half of July, Swamy had scored eleven goals. In August his tally was eighteen, and twenty-one in September. Then came the inexplicable slide – three goals in October, none in November. The bad patch continued through December though they did win the inter-collegiate. In the Gold Cup tournament Swamy had been a mere passenger so far. In the beginning, everyone took it as a temporary loss of form. Many good players occasionally experienced some lean patches. The boy was rested for a few games. When that did not help, the captain became apprehensive. But Swamy was retained in the Gold Cup playing eleven because Ponnaiah was afraid that the boy’s confidence would be shattered if he were dropped. Once the centre forward lost heart it would be difficult for him to regain form and he would fade out. Others were waiting in line for a chance. In an outfit like St. John’s, there could be no comeback for a man who failed. That was the problem with having too much talent on hand. At times the captain felt that he was worrying unnecessarily. The safe tactic for him would be to replace Swamy with the reserve centre forward. That boy too was very good and would have walked into any college team. With him in the side St. John’s would still be a top class team but not one capable of beating the Army XI. That was the difference an in-form Swamy could make. The boy had sheer genius, the kind that won critical games. There had to be an explanation, and hopefully, some corrective action was possible. The captain had talked to Swamy’s friends, teachers and parents. No one had a clue. Then he went to the girl with whom the centre forward was reportedly close. Perhaps they had a tiff. That sort of thing could have an adverse effect on a player’s concentration. The morning of the finals, the Principal had summoned the captain. That was a rare event. The saying in the college was that no student who entered the Principal’s room came out in one piece. Ponnaiah waited silently for couple of minutes before the big, bearded Jesuit looked up and said, “Must win today.” That was all. When the captain came out of the college, Swamy was waiting for him near the gate. The moment Ponnaiah was near enough the centre forward said in one breath, “Please drop me. I can’t play.” He seemed to be on the verge of a breakdown. “Recommendations,” Ponnaiah said sternly, “about team selection are unacceptable.” He got on to his bike and rode away. Now it was time to announce the team. Tension in the dressing room was almost tangible. Anty was stroking his beard. Donald was staring blankly at the wall. Swamy’s eyes were focused on his boots. Others were looking at the captain in anticipation. It took time for the statement to sink in. Ponnaiah looked away as he saw Swamy’s eyes fill with tears. There was a pep talk by Donald and then it was on to the field. The stands were packed. For a moment Ponnaiah wondered whether Swamy’s girl friend was in the crowd. The whistle blew and the play started with a missile attack. The ball was scooped towards the St. John’s goal. An Army forward trapped it and was within the ‘D’ in a flash, bringing the crowd to its feet. But his shot hit the upright and bounced out of play. For a short while the game swung to the Army half. Then the blitzkrieg started. It was relentless. The tanks came rolling down the flanks and through the middle. The St. John’s goalkeeper made two miraculous saves. On the few occasions the college team managed to swing the play to the other half, the moves fizzled out. The void in the centre was noticeable. Couple of opportunities that came Swamy’s way went begging. From then on, whenever St. John’s got the chance to take up the ball, the players ignored Swamy and tried to develop moves along the flanks. That was not enough to penetrate the Army defense. But Ponnaiah did not try to alter the pattern. Right from the beginning, the aggressive soldiers had crushed the St. John’s plan for a fast game. The Army men were all over the collegians. But they were overdoing it. Most of the time there were eighteen players in the St. John’s half – all excluding Swamy who stayed up, and the Army goalkeeper and backs. The soldiers were rough and the pressure on the college team kept mounting. But Ponnaiah knew that crowding the area reduced maneuverability. The opponents could not open out the game and carry out well-planned moves. St. John’s had another advantage – Donald’s dictum “A foul always works against you” was followed to the hilt. Still, before the interval they conceded six penalty corners, but none was converted. The halftime break came as a lifesaver. The players sat quietly taking light refreshments, each one alone with his thoughts. Hardly any of them listened to the colorful police band that marched smartly up and down the ground. Donald was tending to the players, but gave no advice; there was no point. The boys were doing their best but it was doubtful whether they could hold out through the second half. The captain sat alone. This was his last big match. Once the degree exams were over by April, he would be back at Coorg to assist his father in their coffee plantation and that would be the end of serious hockey for him. Why bother about the outcome of this match, he asked himself. After all it was only a game. What did it matter whether they won or lost? Tomorrow’s headlines would either scream “St. John’s Lift Gold Cup” or “St. John’s Goes Down Fighting.” In any case they would be heroes. People would stop them on the roads to shake hands. Girls would ogle and giggle at them. Other students would look at them with respect. They would get special attention at the restaurants frequented by the college crowds. Then what was the point in this desperate need to win, the attitude of come back with the shield or in it? Ponnaiah suddenly realized that the answer was simple. They didn’t like to go down, fighting or otherwise. That was the St. John’s spirit. For them it was more difficult to give up than to fight on. And that was the captain’s message to the team as they returned to the ground for the second half. There was no let up when the game resumed. In spite of the vociferous support from the stands for St. John’s, the fight could not go on forever. At some point of time the tide would overflow the dykes. The well-oiled Army machine seemed unstoppable. Still the boys held out. They lived by the minute, not thinking of what would happen next. They resorted to long clearances to gain breathing time. The goalkeeper was brilliant and made a few unbelievable saves. About seven minutes of play was left. Now there was a feeble hope that St. John’s might survive to fight another day. It was then that Ponnaiah saw the opportunity. He intercepted a pass and noticed Swamy standing almost statue-like deep within enemy territory. There were only two Army defenders between him and the goalkeeper. The captain passed the ball quickly to the centre forward and ran after it shouting, “Go, Swamy, go.” The defense had not anticipated the move that was totally against the run of play. “Go, Swamy, go.” The stands too screamed. The ball came near Swamy and passed him and one of the Army backs rushed towards it. Ponnaiah’s heart sank. It was then that the centre forward came to life. He trapped the ball on the run. There was a feint to the left and a swing to the right, throwing the defenders off position. The move had a touch of class. Now only the goalkeeper was between Swamy and the net. It was a position that not even a novice would mess up. The crowd was on its feet shouting. The St. John’s players had frozen, except the captain who kept running after Swamy. The Army backs were trying to recover. Time stood still. Hearts were little drums beating a rapid tattoo. Swamy was the college sprint champion as well but his legs seemed to be moving agonizingly slow. Footsteps thundered behind him like canon fire. But slowly the distance to the net reduced. The goalkeeper rushed out and encountered Swamy at the top of the ‘D’. That was his only chance. What had to be done was elementary. All along Swamy had been in full control. He waited till the custodian was committed to a dive. Then he pulled the ball to the right as the goalkeeper skidded past. Now there was nothing that stood between the ball and the citadel. Only a push was required. Swamy took one more step forward and tapped the ball to Ponnaiah who had reached the top of the ‘D’ by then. Almost in a reflex action the captain shot it into the unguarded net and the stands exploded. The Army came back, all guns firing. Six minutes were still left. The game turned rougher than before and two college players had to be carried out, hurt. But in an all out, desperate, crying rearguard action, the rest of them managed to survive miraculously. 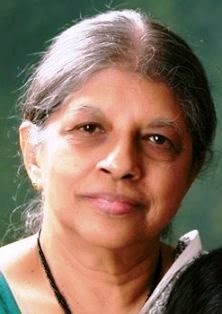 Strangely, at that moment of glory, Ponnaiah’s thoughts were of the coffee estate in Coorg, the cool, secluded home. Vishu: Did God Create Earth on This Day? This post is written at my request by Mrs. Teresa Bhattacharya IAS (Retd. ), former Chief Secretary of Karnataka. Some of you might remember her taking over the position when her husband Mr. BK Bhattacharya IAS retired as Chief Secretary. Teresa’s father, Mr. P.C. Abraham Pallivathukkal, was one of the top industrialists and plantation owners in Kerala. In the 1940s he bought the Hunsden Group Estates in Yercaud from the family of the late Commander H.F. Carey, which he then renamed as Waterfalls Estates . Teresa and her siblings had their schooling at Sacred Heart Convent (SHY) and Montfort mainly as boarders and for a few years as day scholars after the family shifted there. Evocative words reaching out unexpectedly from the past through school alumni websites and family chat pages, jolting the memory with a rush of nostalgia for persons, places and events that shaped our childhood. I grew up in Yercaud in the 40’s and 50’s, and for me and many others of that shared time and space Yercaud has been a deep and enduring influence on our growing years, and a warm, sustaining force in our psyches thereafter. There’s never been any place quite like Yercaud, modest Cinderella among the Southern hill stations lying for many years un-noticed and undisturbed up in the Shevaroy hills 5000 feet above the plains of Salem. No malls or stately buildings, no manicured public parks or gardens. Just a few gentle hints of a colonial past – a little clubhouse below the old Protestant Church with a tennis court, a small library and a card room. 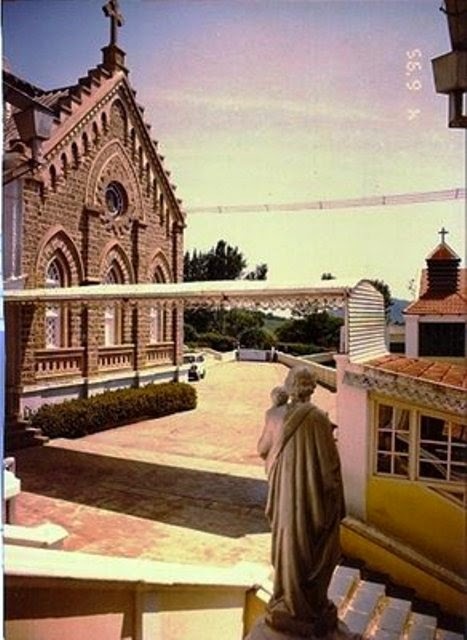 Life revolved around the dozen or so coffee estates on the upper slopes of the hills, and the two large old boarding schools Montfort & SHY set up in the mid nineteenth Century which, with their stone halls, long low dormitories, extensive playing fields and serene chapels, were a dominating and reassuring presence in the little hill town. It was a time of transition. Many of the estates were in the process of changing hands from departing British owners to incoming Indian planters from the plains. The two schools, which had just around four hundred odd students between them, had started to gradually take in more Indian children in place of the departing British and Anglo Indians. But the general pattern of life in Yercaud stayed more or less unchanged for a while, or maybe it was changing so imperceptibly as to be barely noticed. A handful of elderly British planters had chosen to stay on in their old familiar homes and estates, and most of the European nuns and brothers in Montfort and SHY remained in India and continued to run the schools. There was also a large, lively Anglo-Indian presence in the schools and in the town itself. So there was still something of a residual colonial social life in the Yercaud of the 50’s. Barring occasional day-trippers from Salem visiting popular tourist spots like the precarious rocky perches of Lady’s Seat (scene of several dramatic movie shoots! ), the little population of Yercaud lived in a self-sustaining, fairly well integrated world of its own, with the two schools acting as major catalysts. The local gentry (for want of a better word) – that is, the planters, teachers and other residents - met regularly for whist drives at the club and for the weekly free English movie in the Montfort Hall. 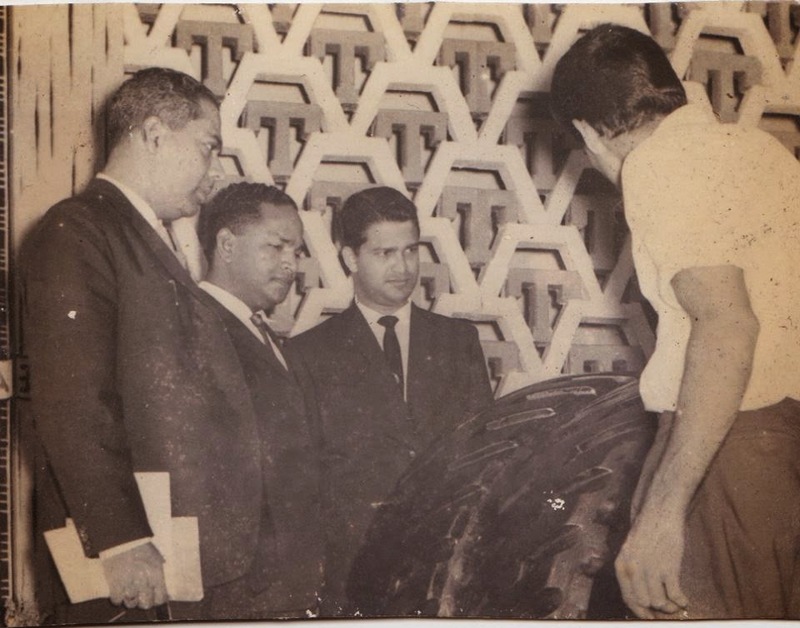 And all residents were there at the various school events - sports, fetes, cricket matches with Salem Club and so on - be it as staid seated guests or as appreciative, voluble spectators at the outer edges of the school fields. The Alumni websites are full of stories and photographs from the past posted by schoolmates from all over the world, and old memories flood the mind in all their innocence and charm. There’s so much that comes back to mind – our walks, for instance. The undemanding rhythm of school life allowed for many outdoor activities and the double file of chattering SHY schoolgirls winding its cheerful way to Big Lake, Bears Hill, Aeroplane Stream and other scenic spots was a familiar sight on the vehicle free roads of Yercaud. Walks to Rookery for picnics were longer and more leisurely, slowing down briefly in the market place to pick up bulls-eyes, stick-jaw, kamarkats, egg sweets and other alluring ‘delicacies’. On St. Patrick’s Day every year there was an adventurous annual Tracking event when Girl Guides searched the roads (with helpful hints from bemused local bystanders) for cryptic signs and hidden messages laid by an advance party, and then ‘tracked’ their way to an undisclosed destination, usually the neighbouring village of Craigmore. And who doesn’t remember trudging up the steep final stretch of ‘Purgatory Hill’ to the school gates at the end of every walk! Bus trips to Salem were also jolly occasions with loud cheerful group singing of popular favourites such as: 'Driving down from Yercaud in the Salem bus', 'She'll be coming round the mountains when she comes,' and so on. Mr. Jacques, strict Montfort music teacher with a side occupation making ‘Jacqueline’ ink, candles and pomade; ‘Tiger’ Nat Terry, erstwhile champion of the ring in Madras, who taught boxing and tap-dance in Montfort , and Marcus Bartley the talented photographer who was the cinematographer of the famous Malayalam film 'Chemmeen'. Then, who can forget Mother Bernard, one of the best principals SHY has known, competent and strict, but also watchful and perceptive of each child's welfare, and Mere Margaret Mary, SHY's mercurial music teacher and refectory supervisor who vigilantly ensured that nothing interfered with piano lessons and choir practice; Mrs. O’Gorman and Miss Rabbit, two sweet old Irish sisters who looked after the Parish church and guided us Legionaries every Saturday in arranging flowers, polishing the brass and dusting the altar rails; Arthur Cissey, happy go lucky, casually dressed Frenchman (of rumoured aristocratic descent) who could be seen in the market streets accompanied by admiring urchins who clustered around him for sweets and snacks; and many others too numerous to list out. Time of course moves on as it must, and after High School we took our first big step out into the world. And what a change it was! College life in the big, bustling city of Madras was fast, exciting and adult. We blended in quickly with our new peer group: wove jasmine into our long plaits, lined our eyes with kaajal, picked up the lyrics of Tamil movie songs and were enthralled by the wave of Dravidian pride that was sweeping through College campuses at the time. Over the years, as the compulsions of adult life took over, Yercaud settled into the recesses of memory and we lost touch with old schoolmates and friends. And then one day in the mid seventies, I went back to Yercaud on a holiday. The ghat road wound its way up the wooded hill slopes and finally looped around the last hairpin bend at the top to run flat and level along the last stretch into town. Then as the coffee bushes and their sheltering silver-oak shade trees fell away, a curve in the road took us alongside Big Lake with its sloping grassy banks _ the familiar quiet waters that had greeted generations of incoming school batches year after year as they drove back in from the long Winter holidays. In an unexpected surge of nostalgia, deep rooted associations of childhood took over our minds and senses and we were back in an enchanted world suspended in time, our own special ‘land over the rainbow, way up high’ surprisingly untouched by any noticeable change. Somehow, while the landscape and lifestyles elsewhere in the country had been evolving into the new patterns of modern India, Yercaud continued for several decades to remain as she’d always been, with her peaceful country roads, quiet haunts and picnic spots, and of course our old school SHY standing reassuringly ‘snug on the green hillside’ with the dear nuns we’d known since childhood waiting to greet us ‘with arms around us all’! It couldn’t last, of course. 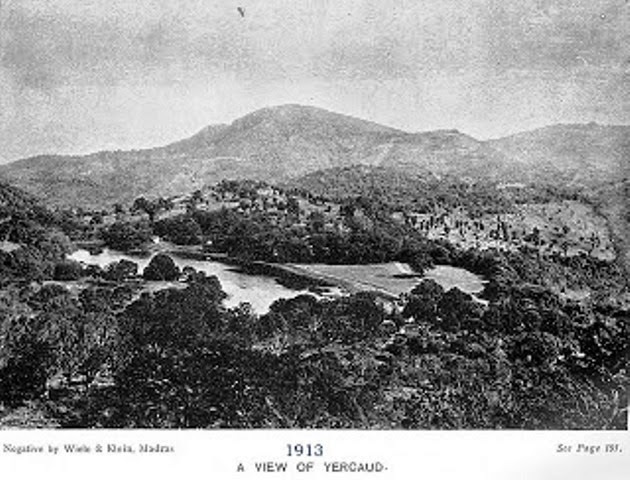 By the late nineties, Yercaud was well and truly discovered by the growing world of Indian tourism. Gradually, hotels and guest houses sprang up in lovely scenic spots, high stone walls appeared around newly built holiday homes and the once quiet roads were invaded by trucks, buses and cars from the plains. Today, Yercaud is a popular holiday destination and there are tourists everywhere – sightseeing, trekking, or just hanging out at the amusement park near the lake. Montfort had already transformed into an imposing Super-School some years ago, and SHY too has recently dismantled the main school building with its old world classrooms and dormitories to make way for a new, modern structure. Which, I suppose, is as it should be. Yercaud has finally taken her place in the India of today. Cinderella has become a princess, finely gowned and feted. However, as the old saying goes: ‘the more things change, the more they remain the same’. Our little town with its modest trappings of modern life sits lightly on the surface of the Shevaroys, that sturdy range of peaks and valleys that sustains and protects the dwellers on the hills: the town residents, the mynahs and bulbuls, the jackals, wild boar and occasional bears that move through the outer slopes, the fruits, flowers and trees that grow in great abundance! Caste System: Is Kerala still a madhouse?